Comment: The spine or cover may be slightly worn but the book is otherwise in good condition and will provide thought provoking read! 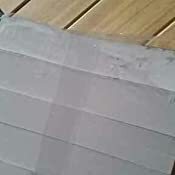 Ripped/damaged jacket. 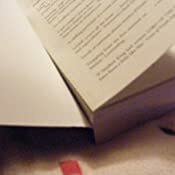 The dust jacket of this book is slightly damaged/ripped, however, this does not affect the internal condition. Welcome back to the FAYZ! This is Book 4 in the series that Stephen King calls a ‘driving, torrential narrative’. Disease is spreading through the streets of Perdido Beach: a devastating, hacking cough that makes the sufferers choke their guts up – literally. The GONE series is Lord of the Flies for the 21st century. In turns breathtaking, harrowing, and utterly terrifying. Its complex characters and moral dilemmas will delight fans of The Hunger Games, Divergent and The Maze Runner. This is dystopian fiction at its best. Have you got all 6 titles in the New York Times bestselling saga: Gone, Hunger, Lies, Plague, Fear, and Light? If you love GONE, be sure not to miss Michael's new series Front Lines - it's WWII but not as you know it! The first book is Front Lines, followed by Silver Stars. Michael Grant also has a World Book Day book, Dead of Night, which is set in the Front Lines universe and written exclusively for World Book Day 2017. Michael Grant has lived an exciting, fast-paced life. He moved in with his wife Katherine Applegate after only 24 hours. He has co-authored over 160 books but promises that everything he writes is like nothing you’ve ever read before! If the Gone series has left you hungry for more from the dark genius of YA fiction, look out for the BZRK trilogy: BZRK, BZRK Reloaded, BZRK Apocalypse and the terrifying Messenger of Fear and its sequel The Tattooed Heart. Michael is a World Book Day author for 2017. 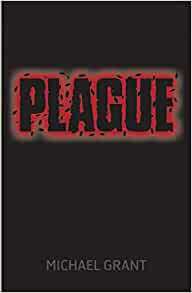 Start reading Plague (Gone Book 4) on your Kindle in under a minute. "'... exciting, high-tension story told in a driving, torrential narrative that never lets up. This is great fiction. I love this book.' Stephen King, bestselling author. 'A tour-de-force that will leave readers dazed, disturbed, and utterly breathless' Booklist; 'If Stephen King had written Lord of the Flies, it might have been a little like this' Voice of Youth Advocates (VOYA) (Starred Review) 'I Love this book' - Stephen King, bestselling author"
Michael Grant is the evil genius of YA Fiction. Among his biggest fans is Stephen King who called the GONE series ‘A driving, torrential narrative’. Michael’s life has been similarly driving and torrential. He’s lived in almost 50 different homes in 14 US states, and moved in with his wife, Katherine Applegate, after knowing her less than 24 hours. 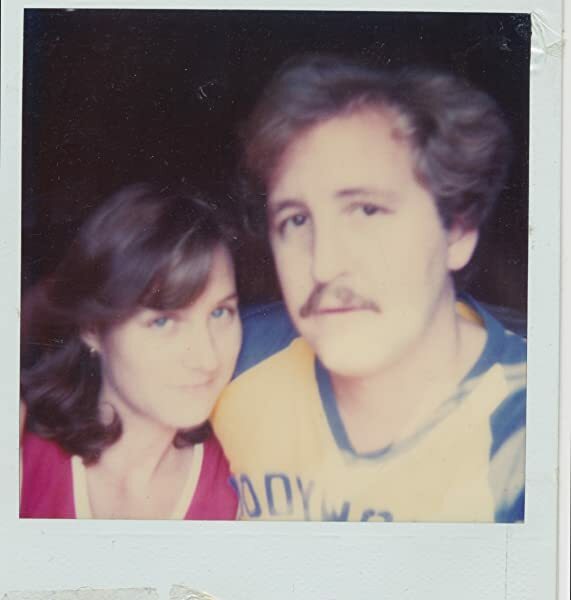 Michael and Katherine were running their own cleaning business when they were working on their first book. Since trading in his marigolds, Michael has now written around 150 books (with Katherine, as himself, under pseudonyms and as a ghostwriter). He now lives in the San Francisco Bay area taking his inspiration from his charming view of Alcatraz. From across those dark waters have emerged his dystopian fantasy series, GONE, his thrilling futuristic trilogy BZRK, and the menacing Messenger of Fear. Now he is reinventing history with Front Lines. The GONE series has sold over 800, 000 copies in the UK meaning that Michael has terrified a lot of people. Something he particularly likes to do. You can find him here http://www.michaelgrantbooks.co.uk and follow him on Twitter @MichaelGrantBks. Ordered these for my 12 year old son for Christmas. He's an avid reader and finished them all in under 10 days. He says they're brilliant and loved them. Highly recommended. This is AMAZING! I am a great fan of this series, and this book is no exception to Micheal Grant’s writing charm. He uses the perfect elements to make each sentence hit you in the most excellent way. I can’t explain how he manages to develop the characters so much so that you feel that they are real and living, even if they have the most unreal qualities, so much so that I was sad the entire day when some of the characters were killed. The part of it that is fighting, does not give you that bored sense of “when does this bit finish” but rather hope for the side that you wish to win. Some characters are so amazingly developed, that you manage to love and hate them at the same time. - too many good people die, come on: Orc, Brianna aka Breeze, Computer Jack, Caine, Dahra etc. I think at a certain point, death becomes OVERKILL! 5.0 out of 5 starsExcellent reading. Brilliant series based on the idea that adults in the Perdido Beach region have vanished, with a look at some of the possible consequences. Told from various viewpoints but largely centred around the main character, Sam. Good suspense and build-up. Eldest really enjoying these books and discussing many of the issues raised, including societal roles and responsibilities. Very highly recommend for 12+ year olds. Lies is the third book in the Gone Series. Lies is an epic read. Kids are trapped in a Dome and without any adults. In Perdido Beach, Sam and Astrid aren’t getting on. Zil and his human crew continue their campaign against kids with powers, leading them to set a massive fire that threatens to destroy all of Perdido Beach. Albert continues quietly with his Alberto currency and running the market. Mother Mary struggles with the responsibility of the daycare, her mental health and her upcoming fifteenth birthday. Brittney comes back to life and digs her way out of her grave. Kids start to report sightings of a Drake, the boy with the whip hand who died in Hunger. Sam is frustrated at the council’s lack of decision and action about the Human Crew’s antics. Sam goes AWOL emotionally traumatised at the thought that Drake, who tortured him, may have returned to the land of the living. Orsay becomes a self-proclaimed Prophetess, claiming that she can see into parents dreams outside of the barrier. She also claims to be able to predict the future. Orsay gets a protecter called Nerezza, a weird kid that nobody seems to have seen before. The council decide to spread the lie that Orsay is making up her ability to reach kid’s parents on the outside of the dome. Meanwhile Caine and his followers have become desperate. The last straw for Caine is eating a dead kid. Caine, Dianna and his followers steal a boat to head to an island which holds the promise of food. I particularly enjoyed reading the good side of Dianna, as it added depth to her character. As Lies continues some of the kids are start to get ill, knocking some of the kids with powers out of play at vital moments. The darkness continues to manipulate kids and events throughout the book. Lies develops the main characters well – each having their own strengths, weaknesses and motivations. It adds in some new characters as well. Some of my favourite new characters were: Justin & Roger, Peace, Sanjit and Virtue. As always the plot is fast-paced, mostly showing rather than telling the story. Description is sparse, but enough to give the reader a good visual. 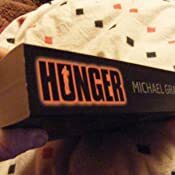 Lies gives enough of the back story, so if you haven’t read Gone or Hunger you can still enjoy it without feeling like you’re missing something. But I would still recommend that you read both of them first. On everyone of the Gone Series books it has a quote from Stephen King ‘I love these books.’ and I completely agree with him. I love these books. 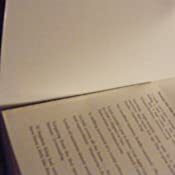 I was walking through the local supermarket book aisle and noticed a book with a black cover with bright green writing. I knew that I was getting a kindle for christmas so I made a mental note to give Gone a go when I had it. Its been just over a week since Christmas day and I have now read all 6 books. The need to continue reading these books for me can only be compared to the Harry Potter series. It has been a long time since I could say I felt this way about a book series and I adored all of the books in equal measure. I have never been so happy to have been dragged into the book aisle of a supermarket before. If you haven't read them, then do. Much like Harry Potter, Twilight and The Hunger Games, they say that these books are for children but really they are for all ages. You will fall in love with the characters (my personal favourites were Edilio and Lana) and you will laugh, cry, cheer for them, get angry with them and mourn them. The Fayz will draw you in, the mystery that surrounds the whole situation will leave you wanting more. If you think you can handle a world where everyone is under 15, there is anarchy, murder, cannabalism, lust, love, courage and much much more. You will see children grow into 'adults' and characters change for the better, and the worse. It is a true look into human survival. I personally think if it was adults it would have got a whole lot messier. Anyway, firstly I would like to thank Michael Grant for an ending worthy of the whole series, and secondly I will say to start reading Gone.. now. Its not just a FAYZ. I picked up "Plague" in a charity shop not knowing that it was the middle book of a series. Loved it so had to buy the rest of the series with "Gone" being the first one. It lived up to expectations.